Chrysthanthemums have been reported by NASA to reduce indoor air pollution. Also, Dalmatian Chrysanthemums are an industrial source of insecticide, because they naturally contain active chemicals called Pyrethrins that inhibit the nervous system of insects. While I prefer not to use industrially refined insecticides, the chrysanthemum plant naturally repels insects, making it a perfect companion plant to your garden. 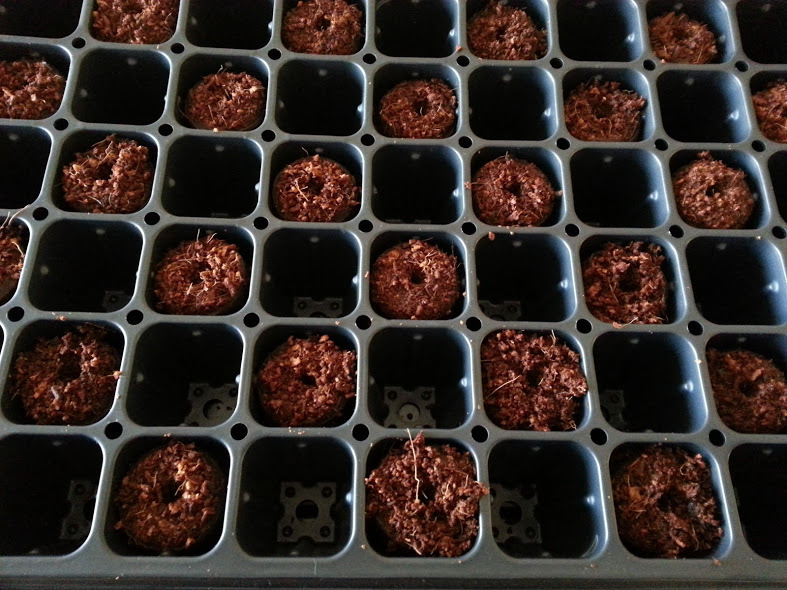 We grew some chrysanthemums from seed to put in our garden and share with friends. 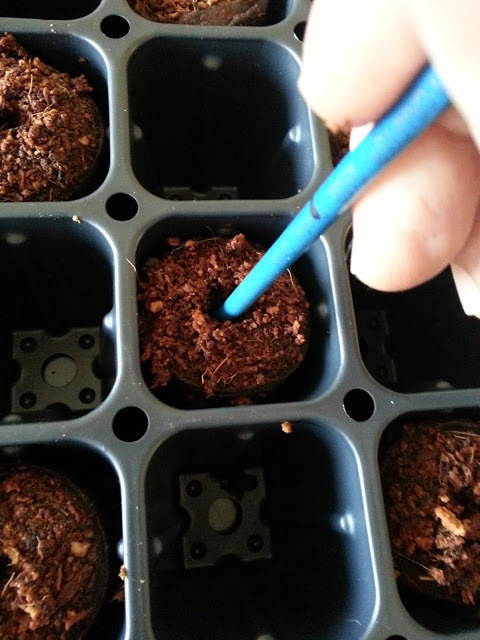 The end of a paintbrush is enough to open holes in the pellets before planting the seeds. For these chrysanthemums, it was ideal to plant the seeds just under the surface. Young seedlings will need light as soon as they spread their seed leaves, so it’s important to plant them based on the size of the seed and by what has been proven effective for each species. We only used half the cells, so we checkerboarded them for even moisture, but there’s no reason not to fill the tray. 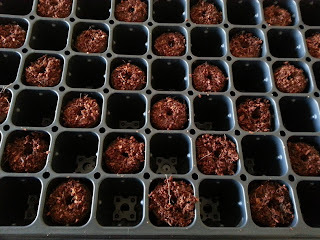 Later, we’ll transfer the successful seedlings into their own 5-1/2 inch square planter pots To contrast the JumpStart peat pellets, we planted the chrysanthemum seeds in a tray filled with Coco (ground coconut husk fiber). 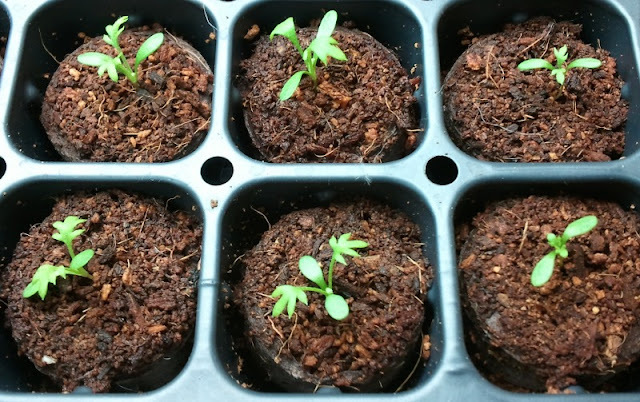 Seedlings can be temperamental, so try a few different approaches to get a good feel of what will work best for you or your seed variety. Humidity domes help control moisture, but in some environments they may create an ideal climate for mold. 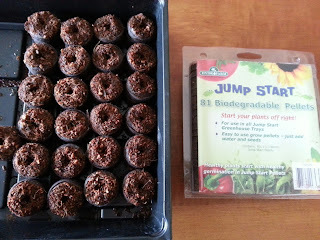 Try less watering with a dome or more watering without a dome and see which works best for you. There are a number of ways to keep the trays hydrated. A pipette will give you control, but takes the most time. You can use a spray bottle to keep the plugs wet and water less frequently. Soaking the trays will give you the most time between waterings, but creates the risk of dampening off (which means to rot from being too wet). Plants won't need nutrients until they have begun photosynthesis, indicated by green leaves and then only use weak nutrients. 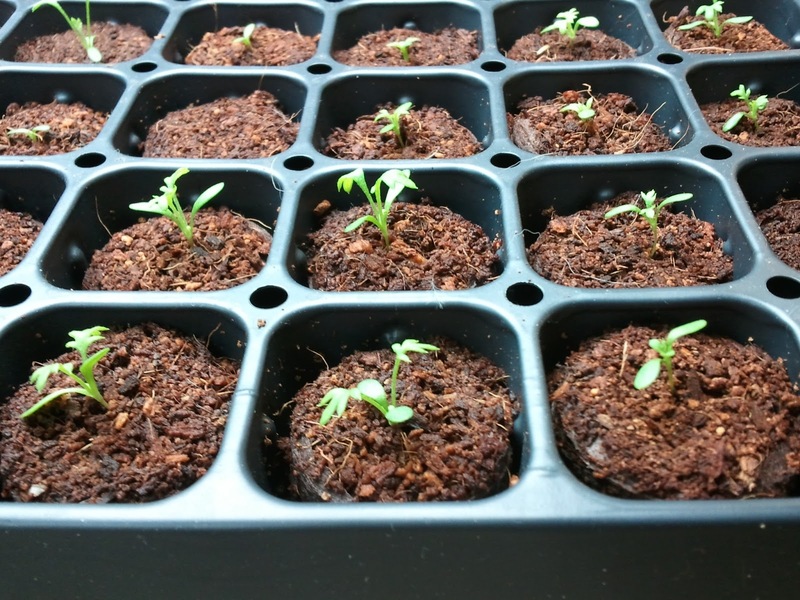 Make sure plants have plenty of light as soon as they begin photosynthesis to avoid stretching. 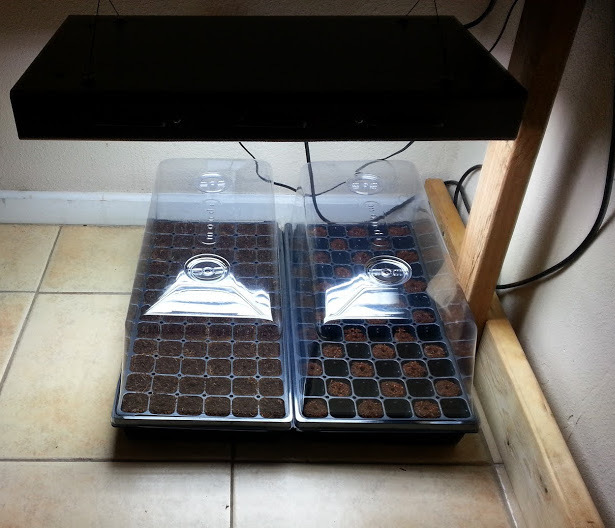 We use a 24” T5 Fixture that holds four 24 watt High Output T5 bulbs, hung from a simple board stand. 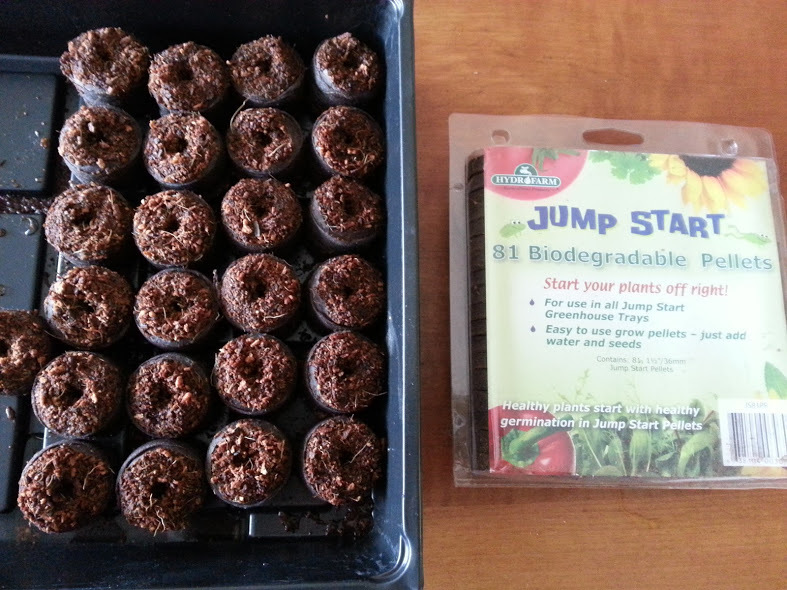 After a few weeks, young plants can be strong enough to transplant into soil or larger hydroponic systems.